See attached for details of mills and opening times. at the Wellington Heath Memorial Village Hall on Saturday 4 May starting at 7:30 pm. Doors and bar open at 7:00pm. Four actors: Dozens of characters. One thrilling, hilarious adventure. 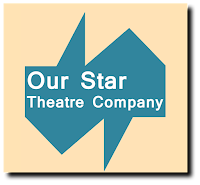 Inspired by Hitchcock's iconic film and the classic spy novel, this play plunges you into the world of Richard Hannay, an ordinary man forced to go on the run after aiding a mysterious woman. From the shadowy streets of 1930s London to the wild moors of Scotland and beyond, The 39 Steps traces Richard's madcap quest to keep government secrets out of the wrong hands. 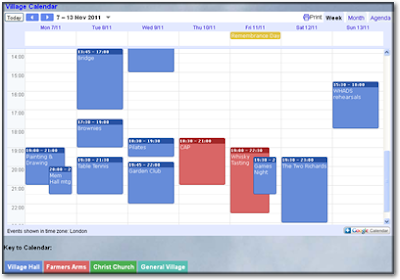 The calendar shows regular and ad-hoc events and is colour-coded for the main locations. You can also click on events to find out more details. Plus, if you use Google calendar yourself (hint: it's very useful as a personal tool), you can link our village events into your own calendar. Contact Richard or Mike for details. If you have an event to publicise, contact us or (Edwina for Village Hall events). Really Simple Syndication is a web feed format used to publish frequently updated works, such as our Events. By subscribing to our RSS, you can have the latest Village News and Events loaded into a tab of your browser, or sent to an application of your choice, Eg Google Homepage, so that you need never miss out on village information.